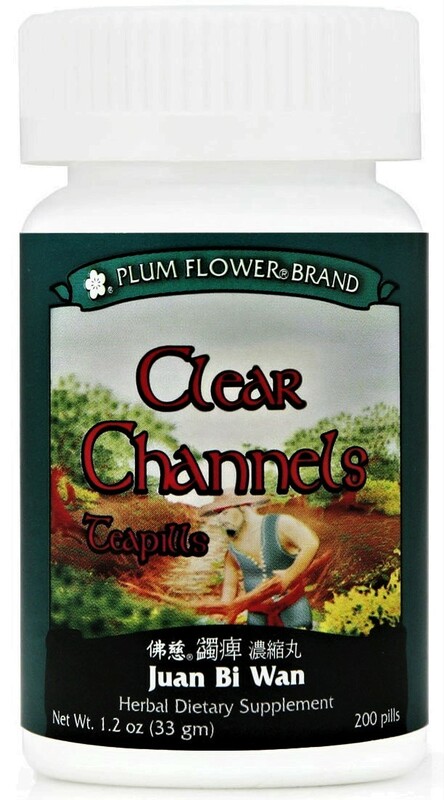 we discount on a 60-day supply (8-bottles) for $114.99 ($14.99 + $100.00). This formula is used for effective relief from joint pain that increases with cold, damp weather and is also useful for osteoarthritis, rheumatoid arthritis, gout and bursitis. 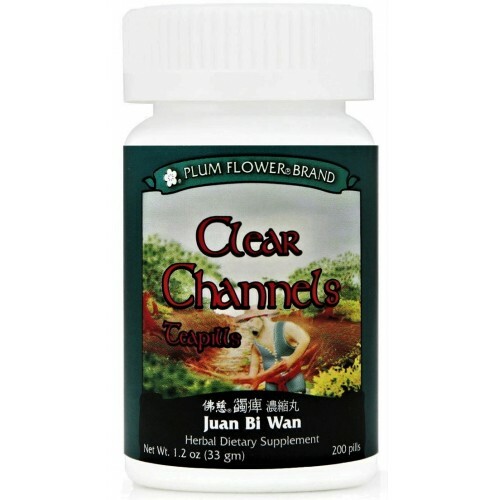 The two main herbs in this formula, Qiang Huo and Du Huo are used together to relieve painful joints in both the upper and lower extremities of the body. Qin Jiao, Sang Zhi, and Hai Feng Teng all effectively expel dampness from the bones and joints. Dang Gui, Ru Xiang, and Chuan Xiong improve circulation which helps to eliminate the pain. Mu Xiang improves functioning of the Spleen and helps improves fluid metabolism, Rou Gui improves circulation and directs the actions of the other herbs in this formula, while Zhi Gan Cao harmonizes their actions and improves the taste of the prescription. Juan Bi Tang is famous for its abilities to relieve rheumatism that causes lower backache, chronic sciatica, and chronic pain in the joints, including the fingers, shoulders, knees and hips. This prescription can be used in the raw form to make a decoction or medicinal wine, or it may be powdered and used to make pills/capsules or simply added to a smoothie or juice. Also available in patent pills or raw form! If you wish us to powder this formula for you, please check the appropriate box at check-out and there will be a $10.00 powdering fee applied. Complete dosage information and order processing instructions will be provided with your order.